Our Fall Festival begins Friday evening, September 14 and concludes Saturday night, September 15. Join us as we celebrate our community with rides, live entertainment, delicious food, activities for all ages, and good friends. Entrance to the festival is FREE! Where is the St. Patrick Fall Festival located? 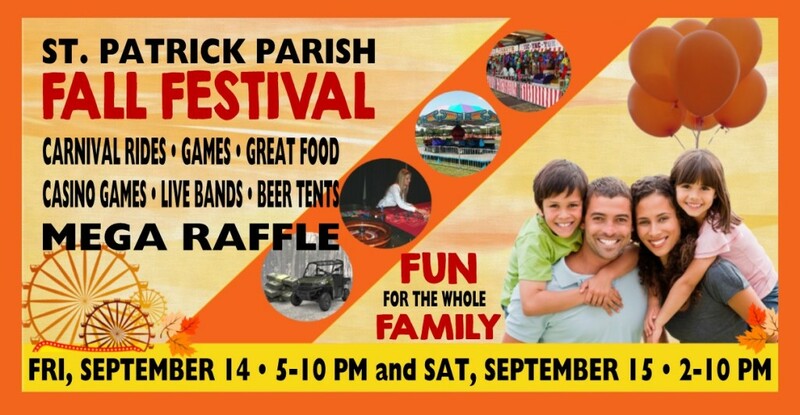 Our festival is held on our parish and school grounds at 701 S. Church St., Wentzville, MO. From I-70 take Church St. Exit 209 and turn north onto Church St. Most of our activities use tickets instead of cash for purchases. Food and beverages from the Sugar Shack, Café, and Beer Tent require tickets. The carnival games also use tickets, as do specialty games like the dunk tank and soccer darts. 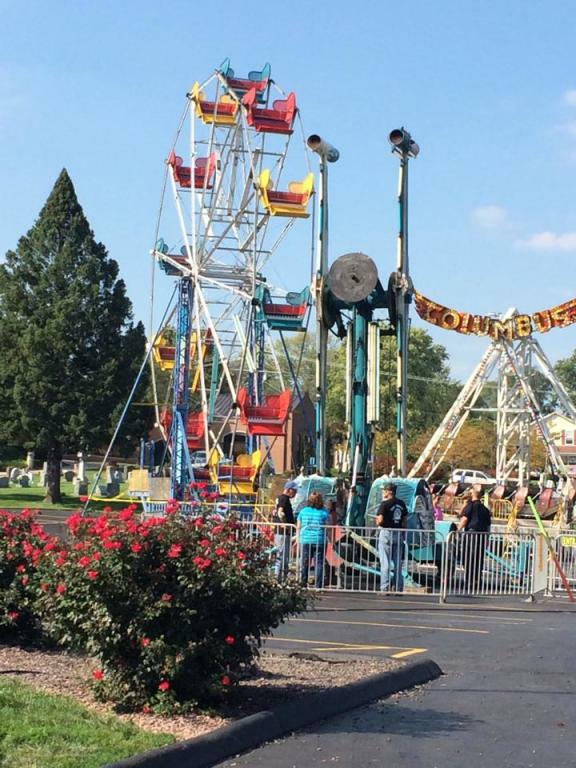 There will be a separate ticket booth for the carnival rides. The casino games are cash only. The Sugar Shack, hosted by the Youth Group, will feature snow cones, candy, chips, and soda. The Café will offer up burgers, hot dogs, Chick-fil-A, loaded tater tots, nachos, soda, and water. WE HAVE TWO BEER TENTS THIS YEAR! The beer tents will feature a variety of beer in 16 oz. aluminum bottles, Spiked Seltzer, and Beer-ritas. Anyone purchasing alcohol must show an id as proof of age in order to receive a wristband to purchase alcohol. There is no charge for the wristband. On Saturday evening, the Knights of Columbus will be serving up their All-You-Can-Eat Chicken Dinner in the St. Patrick Social Hall from 5:00-7:00 PM. Dinner includes a full buffet of fried chicken, mashed potatoes and gravy, corn, green beans, fries, coleslaw, rolls, and ice cream. Non-alcoholic beverages are included. Prices are $10.00 for adults, $5.00 for children 8-12 yrs., and 7 yrs. and younger eat free! Dine-in or carry-out. UPDATED CARNIVAL GAMES THIS YEAR! We will have a variety of carnival games. Some examples include Glitter Tattoo Booth, Rifle Booth, Bowlarama, Looney Ball, Clown Down, Shoot and Score, Ring Toss, Cannery, Wheel, Monster String, Fishing, and Pig Race. Our St. Patrick Athletic Association will also be hosting velcro soccer. Will you have any casino games? PROFESSIONAL CASINO GAMES & DEALERS THIS YEAR! Professional dealers will bring you Black Jack and Roulette! You will be able to try your luck at a variety of games-of-chance, including the 7's Game, Coin Pitch, Pull Tabs, and Muffin Toss. The casino games are cash only. American Banner Amusements will offer a wide variety of amusement rides for all ages from bounce houses to spinning vortexes. ABA prides itself in their commitment to providing “Excellence in Family Fun”. 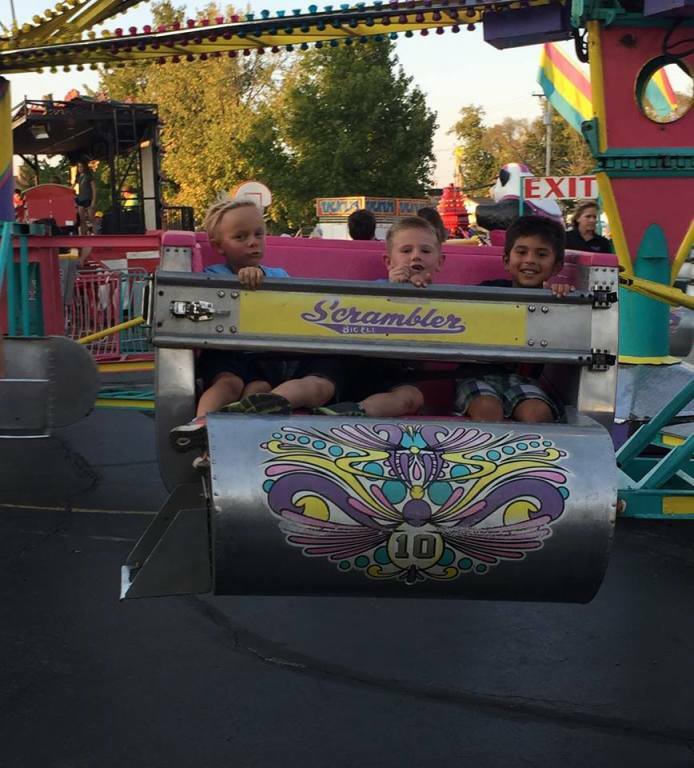 How do I get tickets or bracelets for the carnival rides? Individual Ride Tickets can be purchased at the festival. Pre-Sale Two-Day Unlimited Ride Tickets* will be on sale this weekend after all Masses for $50 each and are good for both days ($10 savings). In addition, pre-sale tickets will be available in the social hall on Wednesday, September 12 from 2:30-3:30 and Thursday, September 13 from 11:30 - 12:30. Pre-Sale Tickets will also be available on Wednesday, September 12, starting 30 minutes prior to each PSR session in the school cafeteria. The special $50 Pre-Sale Two-Day Tickets are only available at these times and locations and will not be available at the festival. *Pre-Sale Tickets will be given instead of ride bracelets and can be redeemed for a two-day unlimited ride bracelet at the festival. Unlimited One-Day Ride Bracelets for Fall Festival are $20 for Friday and $40 for Saturday will be sold at the event. Please note: Replacement tickets and bracelets are not available for those that are lost or damaged and there are no refunds. What if I need cash for tickets or casino games? There will be an ATM on-site for your convenience. 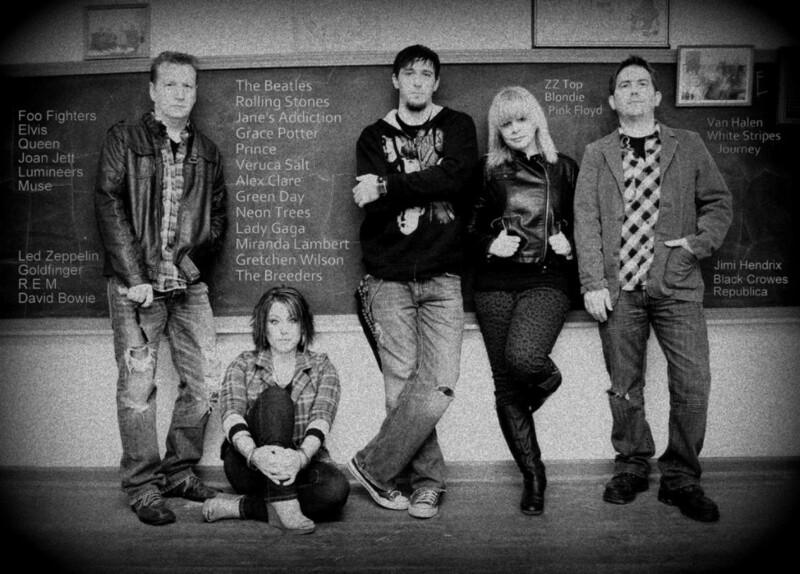 On Friday evening, Sacred Heart Stones from Troy, MO will bring classic rock sounds to our festival grounds. On Saturday evening, A.D.D. will play a variety of music, including but not limited to Rock, Dance, Country, Pop, and Funk. Entertainment is FREE! No cover charge! Can I participate in any raffles? This year's raffle is for a winner's choice of $10,000 cash or a Polaris Ranger 900 XP. Tickets are $50 each and will be available after all weekend Masses, during scrip sales, in the parish office, or can be purchased at the festival. The winner will be drawn on Saturday night at 9:30 PM. What ways can I help with the Fall Festival? Spread the word: Invite your family, friends, and neighbors to join us! Make sure to “Like” us on Facebook! Visit our Facebook Page and share your memories and what you are looking forward to. You can also share this PAGE. Volunteer: We need help beginning on Thursday, September 14, at 1:00 PM to help with set-up activities. During the festival on Friday and Saturday, volunteers can help sell tickets, run kid’s games, sell beverages & food, clean-up, and tear down. CLICK HERE to sign-up online. If you are unable to commit to a day or time, please join us for set up and tear down. No sign-ups, just show up. SET-UP - Thurs, Sep 13, 1:00 PM until finished and TEAR DOWN - Sat, Sep 15, 10:30 PM until finished. Fall Festival Sponsorship: Contact the parish office at 636-332-9225 or bulletin@stpatsch.org for more information about how you or your business can support the Fall Festival through corporate sponsorship. Please support our 2018 St. Patrick Fall Festival Sponsors. Click on logo for contact information. I want to volunteer. Who do I contact? Contact Kim Schellert at homeandschool@stpatsch.org. Click here to access the online Fall Festival volunteer sign-up site. I have a question about the Fall Festival. Who do I contact? Matt Rankey at 314-499-9275 or Matt@FeatherShark.com for more information. Thank you for supporting our annual St. Patrick Fall Festival! The St. Patrick Fall Festival Committee reserves the right to cancel or change any activity.